At about 6:46 pm yesterday evening, this world became a darker place. Pujyapad Fakir Mohan Maharaja left this world, surrounded by devotees chanting Hare Krishna and crying. His departure was extremely auspicious: He had a prasada Tulasi leaf on his mouth, the Govardhan Sila given to him by his Gurudeva was on his forehead, on his chest was a prasada chadar from the ancient deity of Tota-Gopinath, there was a plate full of Salagram Silas by his head. Also on his chest was a silk rope that had been used to tie Lord Jagannath to his Ratha-yatra cart in Puri. There was also a Jagannath prasada Gita Govinda Khandua on his chest, the cloth with verses written on it from Jayadev Goswami’s Gita Govinda. He said, “Well, there is a small hope that he may make it. As long as that is there I want to keep him here in the ICU.” An hour later his organs started failing. He was bleeding so badly internally that he was given 21 litres of blood in 16 hours. His stomach and whole body were swelling up with the internal bleeding, which they were draining in several places. 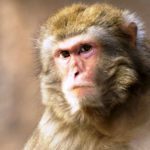 Finally, the blood became too much strain on his kidneys and the dialysis machine was no longer helping him. His blood pressure started going down, and he was leaving. It was around that time — that one by one — somehow, all 18 of us found our way to his bed in the ICU. 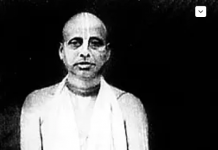 At that time we started doing kirtana — and what a kirtana! We didn’t give a damn for their rules or for what anyone thought. We started singing Fakir Mohan Prabhu’s favorite song of Bhaktivinode, “Jaya Radha Madhava”, in the tune he used to hauntingly sing. We sang together for over an hour, while the nurses and doctors began to gather nearby watching and listening to us. Everyone in our group was crying and singing Hare Krishna mantra in a very piteous way. The doctors came a few times and gently asked us to sing more quietly, which we immediately did, but they didn’t ask us to stop and they didn’t kick us out, rather little by little they all gathered to watch and hear. It was clear that they could understand this was a very special person and a very special occasion. Somehow, by the mercy of our dear godbrother Purushottam Tirtha Prabhu and other kind devotees, I got to stand by Fakir Mohan Prabhu’s head for a couple of hours, singing Hare Krishna into his ear. I was still standing there and singing at about 6:46 PM yesterday, on Friday the 18th, when his vitals gradually stopped, his heartbeat became a steady line on the screen, and the terrible realisation began to set in on all of us that we were no longer going to have his physical association. He had left. This morning we prepared his body, giving him a bath in Radha-kund and Lalita Kund waters, shaving his head, putting tilak, and dhoti on him, while devotees chanted and cried outside the room. 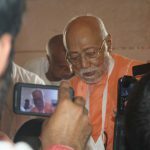 We then took him to the ISKCON Krishna Balaram temple in Bhubaneswar for more kirtan, while all the devotees came, circumambulated his body and offered their last respects. We then went to Jagannath Puri where 50 or so devotees gathered doing kirtan and putting garlands on his body, before we burned his mortal remains and said our goodbyes. Following that all the devotees came to our ashram for more kirtan and Jagannath prasada. Thank you Fakir Mohan Prabhu for all of your friendship, unlimited encouragement, encyclopedic knowledge, mega enthusiastic classes, oceanic devotion, fierce chastisement, and your one-pointed focus on the Holy Name! Thank you for letting me be with you when you left this world! Thank you, thank you, thank you for your inspiration and guidance! He told a story about a disciple who was much more technically qualified in sanksrit than his Guru. 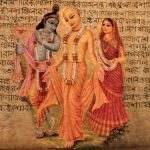 When the Guru gave the disciple diksha, there was a small, technical mistake in the grammar of the mantra. But the disciple was so faithful, even though he understood the superficial mistake, he faithfully chanted the mantra given by his Guru for his entire life. His faith was that the mantra was coming from Guru, so it was pure and perfect. But when that disciple became a Guru and gave initiation to his own disciples, he corrected the small mistake. 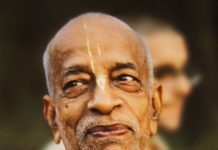 I remember Fakhir Mohan Prabhu once telling his experience growing up in the Gaudiya Math. He expressed to a senior devotee that because he was a brahmachari he was unable to do something asked of him. 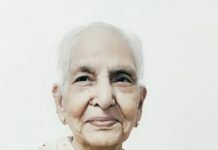 The senior devotee wanted to teach that being a brahmachari is not a cheap thing and asked, “Oh, you think you are a brahmachari?” Fakhir Mohan Prabhu said he was taken aback by the question and wasn’t sure how to respond. He had left his family, given up his possessions and given his life to living in the Math. 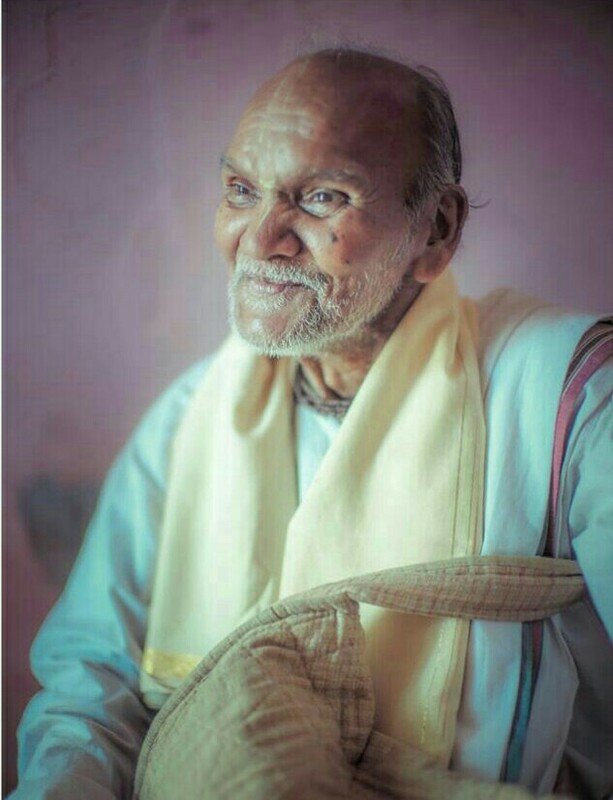 His senior said “You are a pukka grhasta!” Fakhir Mohan Prabhu laughed and told us never to be proud of our so-called renunciation. 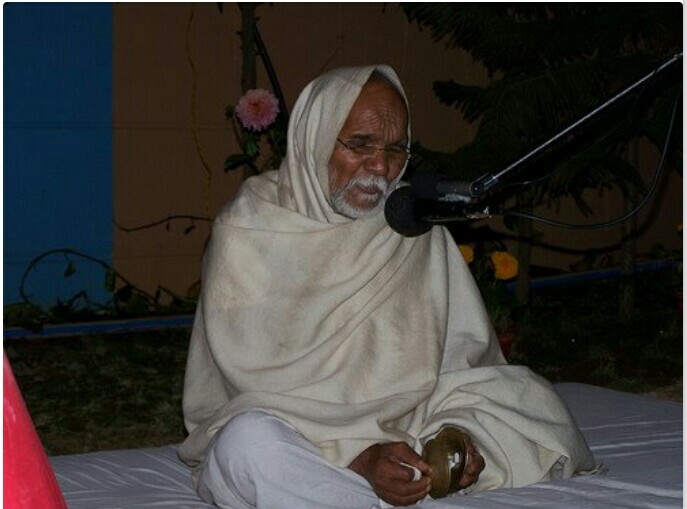 Fakhir Mohan Prabhu was a very senior devotee, both by age, by learning and by many qualifications. He once saw Madhava Prabhu doing kirtan on the lawn at the MVT. 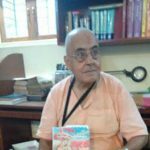 He asked “Isn’t this the person who is the disciple of that great ISKCON kirtaniya from the 24 hour kirtan, and he now travels all over the world chanting Hari Nam?” When it was confirmed, Fakhir Mohan Prabhu offered his dandavat obeisances to Madhava Prabhu. I was so impressed with his humility! 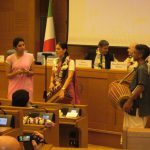 It’s difficult to express in words how animated Fakhir Mohan Prabhu was, how he would laugh when he told jokes, the emotion he expressed while speaking. His singing was also exceptionally deep and full of emotion. My feeling is that Fakhir Mohan Prabhu was from a different age, from an older, much more pure time. He was a from an old Indian generation unspoiled by smartphones and other Western luxuries. He was a different caliber of human being. I don’t know if we will meet anyone like him again in this lifetime. It is a great loss for us that we will no longer have his association. I offer my humble obeisances again and again to this great soul!